— One year before humanity's first lunar landing, the moon must have still felt quite far away. 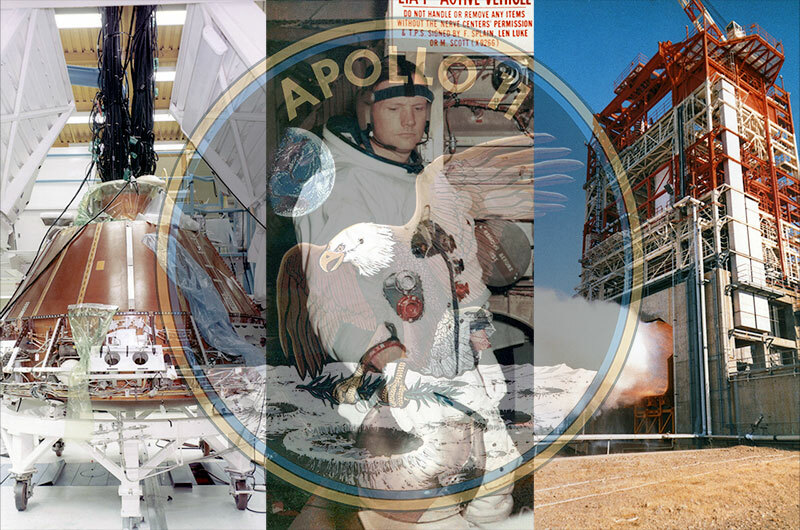 On July 20, 1968, the pieces for Apollo 11 were starting to come together, but the mission itself was still six months from a formal announcement. Four missions needed to launch and be successful before Apollo 11 could even attempt to fulfill President John F. Kennedy's challenge from seven years before. "I believe that this nation should commit itself to achieving the goal, before this decade is out, of landing a man on the moon and returning him safely to Earth," said Kennedy in May 1961. And Apollo 11 would achieve that and more. But 50 years ago Friday (July 20), the space agency was still recovering from a fire on the launch pad that claimed the lives of its first Apollo crew a year and a half earlier. In addition, the rocket that NASA needed to fly astronauts to the moon still had serious issues and the spacecraft that would deliver the crew to the lunar surface was facing delays. With the Soviet Union pursuing its own moon landing program, it would take more than one giant leap for Apollo 11 to win the Space Race. One year before the landing, the Apollo 11 launch vehicle was in pieces. By July 20, 1968, the massive Saturn V rocket had launched only twice — both times without a crew — and the second time did not go well. In April 1968, Apollo 6 lifted off and quickly developed "pogo," a self-induced vibration, that damaged the second and third stage engines. In the aftermath of the anomaly, Boeing ordered a delay to the static test firing of Apollo 11's Saturn V first stage, S-IC-6, until pogo-preventing modifications could be made. On July 16, 1968, one year to the day before the launch of Apollo 11, first stage propellant tanking tests were declared complete. "Two days later, NASA announced the conclusions of its investigations into the pogo problem," Alan Lawrie wrote in "Saturn V: The Complete Manufacturing and Test Records" (Apogee, 2005). The fix, as implemented and tested on S-IC-6, was to add small gas reservoirs in the first stage's liquid oxygen pre-valves, changing the frequency of the propulsion system. Meanwhile, the Apollo 11 Saturn V's second stage, S-II-6, had been waiting since June 28 in the A-2 test stand at the Mississippi Test Facility (now the Stennis Space Center), in preparation for its own first test fire slated for September 1968. 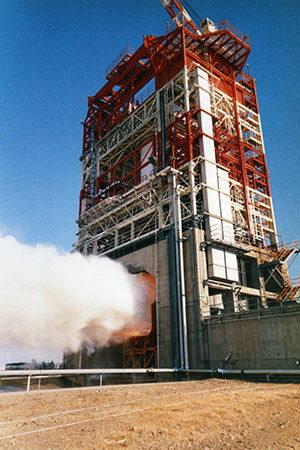 The third stage, S-IVB-506N, was test fired on July 17, 1968, at the Douglas Aircraft Company's Sacramento Test Operations Facility in California. The stage's single J-2 engine burned for 445.2 seconds, clearing it to send Apollo 11 to the moon. On July 10, 1968, NASA managers met in Houston, where they certified the "Block II" command and service module (CSM) for flight. The review of the redesigned spacecraft came 18 months after a fire on the launch pad tore through the Apollo 204 (Apollo 1) Block I command module, killing three astronauts and bringing the Apollo program's pursuit of the moon to a temporary halt. The Apollo 7 mission, which would launch in October 1968, still needed to prove the vehicle's flight-worthiness in Earth orbit, but work could now pick up in pace on the down-schedule spacecraft. In July 1968, Apollo 11's CSM-107 was still under construction at North American Aviation's factory in Downey, California. 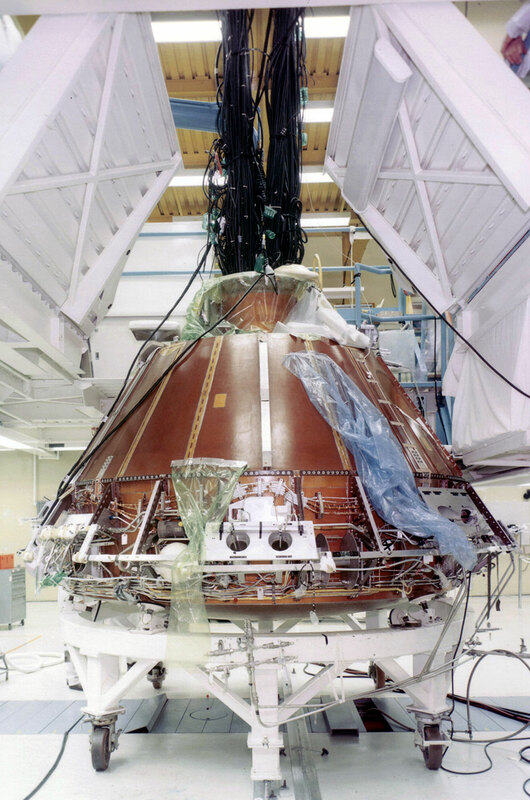 The command module had yet to have its heat shield installed and both it and the service module were undergoing individual system checks. The CSM was still six months from being ready to ship to Kennedy Space Center in Florida. 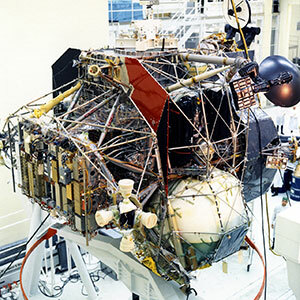 The Apollo 11 lunar module, LM-5, would ultimately beat CSM-107 to the Cape by a week, but one year out from it landing on the moon, it was still undergoing testing at Grumman Aircraft Engineering Corporation's factory in Bethpage, New York. Electrical engineer Salvatore Sarbello, writing in a construction log for LM-5, noted fluctuations in power levels as environmental control system testing continued on July 20, 1968. Just a few days earlier, Sarbello logged the four hours it took to install Panel 5 in the ascent stage of the lunar module. The panel included the stop and start buttons to control the engines that would lower and raise the vehicle for the lunar surface. CSM-107 and LM-5 would come to be much better known as "Columbia" and "Eagle," but those call signs would not be publicly known for almost another full year. One year out from their landing on the moon, Neil Armstrong, Edwin "Buzz" Aldrin and Michael Collins were not the crew of Apollo 11. 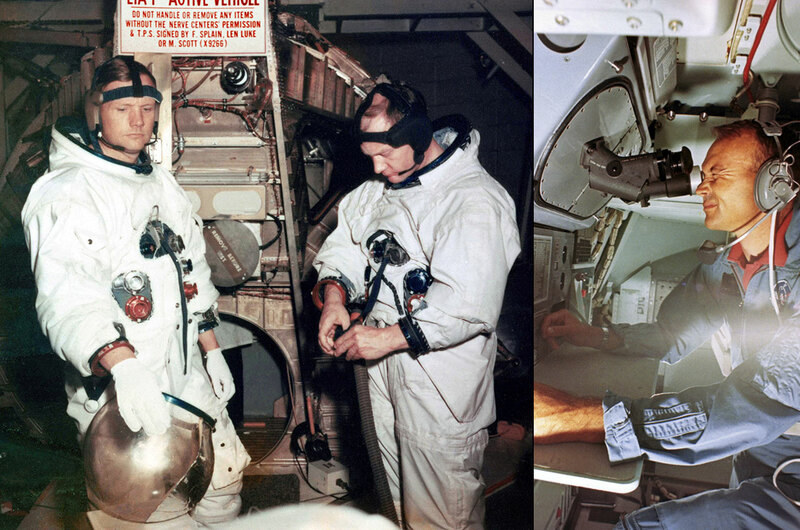 On July 20, 1968, Armstrong and Aldrin were serving as the backup commander and lunar module pilot, respectively, for the Apollo 8 Earth orbit mission. At that point, even the idea of sending Apollo 8 to circle the moon, which would happen that December, was still two weeks away (and that change of mission would not be announced to the public until November). Collins, meanwhile, was in training as Apollo 8's command module pilot when on July 22, 1968, NASA announced he was to undergo surgery "to remove a bone spur growth that has developed in his cervical spine." "Whether the problem will affect Collins' assignment as prime command module pilot for the third manned Apollo mission will not be known until after surgery when the amount of time required for recuperation can be established," NASA said at the time. The next day the situation became clear: Collins had gone through the surgery without complications, but he would need three to six months to recover, requiring that he be replaced on the Apollo 8 crew. Jim Lovell moved up from the backup to the prime crew for Apollo 8 (which resulted in Aldrin moving over to become backup command module pilot). Armstrong would not be approached to command the possible first moon landing until Apollo 8 entered lunar orbit. He, Aldrin and Collins would not be announced to the public as the Apollo 11 crew until Jan. 9, 1969. This article was first published on Space.com. It is reprinted here with permission.